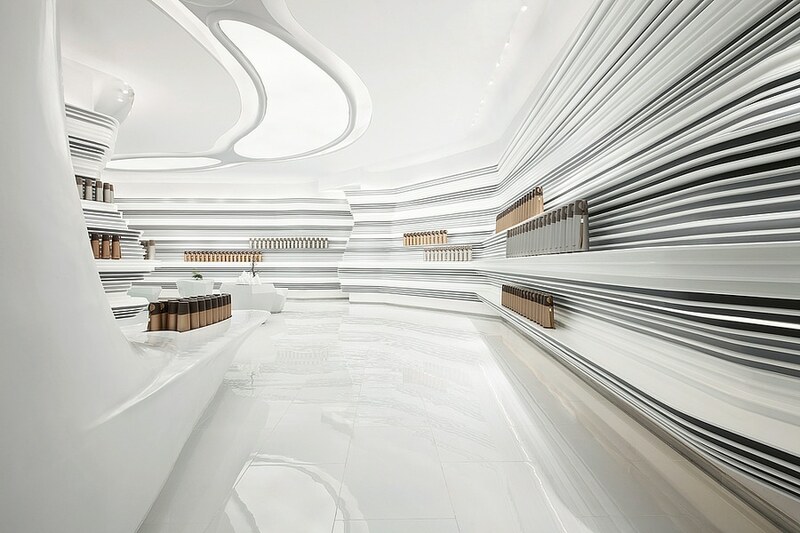 The inspiration for the design of this showroom is the appreciation of life in nature. The concave and convex surface structure of the wall recalls the weathering effects of rocks and conveys a sense of the present and the future. 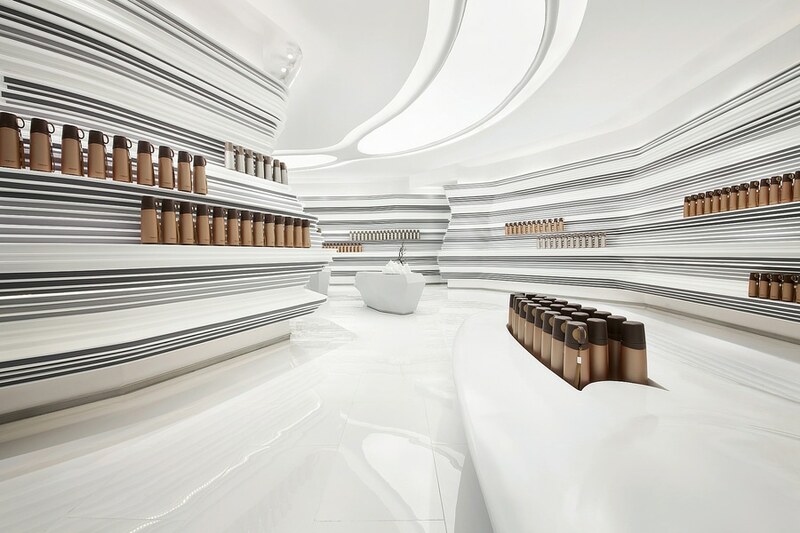 Curves and streamlines organically combine showcases with the space, creating a smooth, agile, but at the same time tense atmosphere. 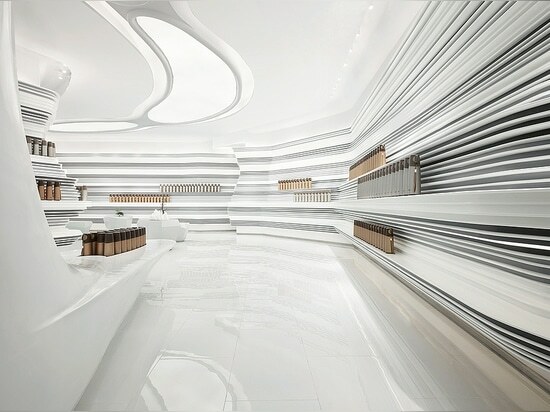 The lighting and the white and grey colour concept produce an environment in which the exhibits take the leading role. 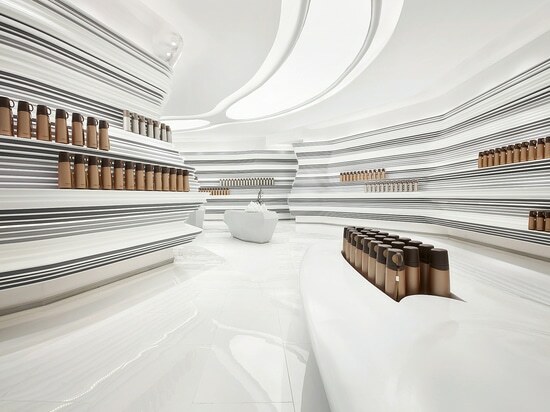 This exhibition hall succeeds because of its organic use of forms and restrained colour concept which allow the presented products to take centre stage.